Google Maps for mobile is 6 years old (happy birthday!). To celebrate the occasion, Google launched Google Maps 6.0 for Android. The updated version of the app includes the much-anticipated indoor maps (a feature which has been available on Bing Maps for several months now), along with some other small goodies that are aimed at a better user experience. The most discussed new feature is the ability to navigate indoors as well as out. This means you can now use Google Maps on your Android device to navigate inside airports, malls, stores, etc. Unfortunately, the list of buildings which actually include an indoor map is somewhat limited for now, and includes a number of airports (Atlanta, Chicago, San Francisco and Tokyo), IKEA stores, Mall of America and several others. Hopefully the list will grow significantly in the upcoming weeks. Another useful addition is the ability to easily switch between the different Maps services, such as Places, navigation, Latitude, etc. You can now access a handy dropdown menu from every screen and easily switch between the different views. The Places home screen also received a small revamp, and you can now see all the popular searches for places near your location. This should help you find the best places around when you travel. The update is available from the Android Market and works on Android 2.1+ devices. 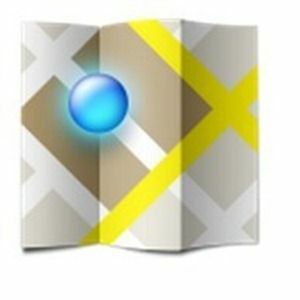 Explore more about: Google, Google Maps.